Alongside our new partners Fishing Cactus and Modus Games, eXiin proud to finally announce that Ary and the secret of seasons will be also available on Nintendo Switch! 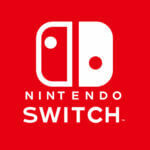 The game is to be released on all platforms at once (PlayStation® 4, Xbox One, Nintendo Switch and Steam). August 21, 2018 – Walnut Creek, CA – Video game publisher Modus Games, in partnership with developer eXiin and Fishing Cactus, today announced their collaboration on the upcoming adventure game, Ary and the Secret of Seasons, coming to PS4™, Xbox One, Nintendo Switch and Steam in 2019. The game is being shown this week at Gamescom in the Indie Arena Booth, Hall 10.1, Booth A020. Attendees are invited to come see why Ary was named “Best Unity Game” at the event last year, as well as nominated “Best Indie Game” at Game Connection 2017. Ary and the Secret of Seasons follows the journey of a young girl named Ary across the magnificent world of Valdi. To the surprise of many, Ary has joined the Guardians of Seasons, an old organization traditionally ruled by men. Her task: successfully restore the seasons of Valdi! With strength, determination, and self-control as her pillars, Ary will set out to accomplish a feat no other guardian has ever managed. Ary can summon small spheres that act as tiny ecosystems for each season, changing the environment within completely. The spheres can be opened up three at a time; thus, Ary can jump from winter to summer to autumn in a single leap. This allows for an incredible range of possibility for amazing environmental puzzles and innovative gameplay. 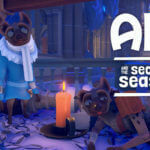 Ary and the Secret of Seasons arrives on PS4, Xbox One, Nintendo Switch and Steam next year. See the game this week at Gamescom in the Indie Arena Booth, Hall 10.1, Booth A020. To learn more about the game, visit www.ary-game.com. 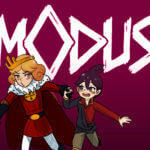 Modus is a premier global publisher of video games across all major physical and digital entertainment platforms. The label prides itself on collaborating with talented developers around the world to bring innovative games to the masses. For inquiries, please email press@modusgames.com. Exiin is a fast -rowing indie game company based in Brussels, Belgium. Since June 2016, eXiin is developing their new IP called Ary; the first game is “The Secret of Seasons”. Fishing Cactus has been developing games for almost a decade and share with eXiin a certain taste for innovation. Fishing Cactus counts over 50 released titles and a crew of 22 developers. Fishing Cactus is behind the successful atypical typing RPG Epistory: Typing Chronicles and handcrafts smart games with soul. For more information on eXiin, visit www.exiin.com. For more information on Fishing Cactus, visit www.fishingcactus.com. eXiin is ecstatic to present the first trailer of Ary and the Secret of Seasons! Switching from summer to winter has never been easier; solve puzzle, battle quirky meanies and uncover the world’s seasonal mysteries! how do we use Houdini’s procedural workflow? SideFX passed by our office to make two videos of how we use Houdini in our production process! Here is the first one. Just a quick update to announce that Ary and the Secret of Seasons just got a brand new website, enjoy! In our upcoming game Ary and the Secret of Seasons, Ary possess the ability to cast Season Spheres. What are these ‘Season Spheres’ you might ask, well let me tell you all about them!